A beautiful pair of pink and cream wings with glitter detail and corsage highlights. Simple elastic straps make them easy to wear. 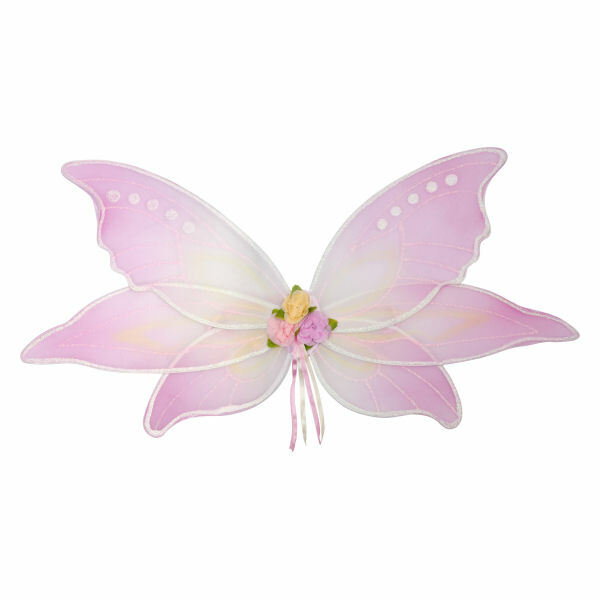 The wings are presented in a pretty organza bag which makes them a perfect gift. The wing span in 75cm by 40cm high. 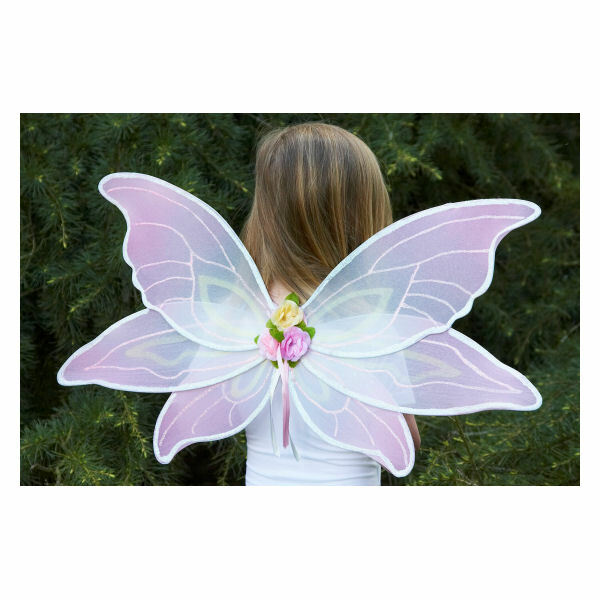 A beautiful pair of pink and cream wings with glitter detail and corsage highlights. The wing span in 75cm by 40cm high. Simple elastic straps make them easy to wear. Presented in a pretty organza bag. There are no videos for Pink Sorbet Fairy Wings by Travis Dress Up By Design at present.